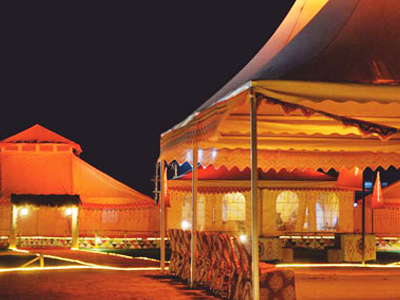 In the midst of the Kutch desert, one of the most ecologically and ethnically diverse regions of Gujarat, the Rann Utsav offers a unique experience for travellers to explore the history, culture and architectural heritage of the region. The three-month festival, which began on 1 November, offers access to the interior and scenic vistas of the desert district—from the Banni grasslands to its beaches. 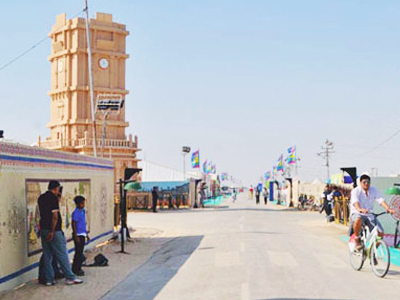 The Rann Utsav has reinvented Kutch as a cultural hub, showcasing its stories, folk dance and music as well as artisans. Once the salty marshes become a sea of silver come winter, calm and tranquillity descend on the desert. 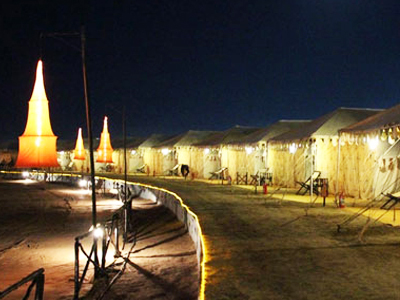 Tents are set up around the venue, allowing travellers to stay right in the middle of the desert at Dhordo village, about 80km from Bhuj. Folk performers in vibrant costumes, Sindhi bhajan recitals and stalls selling Kutchi embroidery all make the Rann Utsav what it is—one of the most sought-after desert festivals in the world. The region maintains its age-old crafts and traditions, preserving the authenticity and aesthetics of its weaving, block-printing, Bandhani tie-dye textiles and Rogan painting. Kutch is also home to various styles of embroidery, pottery, wood-carving, metal craft, shell work and other handicrafts. Visitors get the chance to learn how to make block prints, door hangings with threads and tiny mirrors, and also Toran embroidery. For those travelling from Ahmedabad, the best way it to take a bus, though trains are also available. Sleeper buses run by private companies leave from Ahmedabad’s Paldi area between 8pm and 11pm daily, arriving in Bhuj between 6am and 8am. Bhuj and Gandhidham are well-connected to Ahmedabad by train, and long-distance trains run from Mumbai, Pune and as far away as Kolkata and Nagercoil. Bhuj also has a domestic airport and has daily flights to and from Mumbai.